Thembi has long had a passion for human rights and public law and a strong commitment to social justice. Before commencing her law degree she interned with a Human Rights project in Accra, Ghana, undertaking outreach educational programmes on the ‘Rights of Offenders’ in custody. Thembi completed her LLB at University College London where she studied Law with Hispanic Law, spending a year in Madrid studying the Spanish legal system. During her final year of her LLB Thembi undertook casework at Just for Kids Law gaining experience in Education and Community Care Law. She went on to study the Legal Practice Course at the University of Law in London (formerly the College of Law) passing with a distinction in 2016. 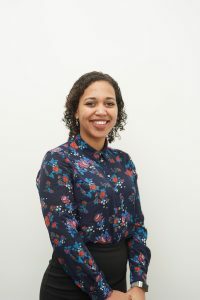 Whilst completing her LPC Thembi worked at the UCL Centre for Access to Justice on their Education law project “Understanding School Exclusions”. The project comprised a series of informative videos designed to inform parents, pupils and head-teachers about the school exclusion process and appeal procedures. After finishing her studies, Thembi worked as a paralegal in the social welfare department at TV Edwards LLP. She gained experience in Housing, Community care and Court of Protection work; dealing with homelessness, evictions, and vulnerable adults who lacked mental capacity. Thembi predominantly worked with legally aided clients, learning to navigate the bureaucracy of the public funding system and experiencing first-hand the current restrictions on access to justice for society’s most marginalised. A notable case Thembi worked on was an Equality Act damages claim for a child with high-functioning autism. The local authority’s disabled children policy excluded the child from accessing services for many years in the borough. Thembi worked on the team challenging this policy which led to its withdrawal across the entire borough and compensation for the disabled child and his mother. Thembi began her training at the Mary Ward Legal Centre in January 2018. She is particularly excited to have the opportunity to gain experience in areas that were removed from the scope of legal aid by LASPO 2012, such as welfare benefits and debt. Thembi’s project is focused on using current technology to expand access to justice in the centre by adapting the way legal advice is delivered to the centre’s clients. By using video-conferencing technology with lawyers delivering legal advice remotely, Thembi aims to increase the legal centre’s capacity for new cases, whilst freeing up availability of face-to-face legal appointments for the most vulnerable. Thembi’s primary target group is the Mary Ward Legal Centre’s pro-bono scheme, which offers evening legal advice on matters such as employment, housing, contracts, small claims and consumer law. The use of video-conferencing will be an additional tool to expand the centre’s resources, as lawyers from firms within and outside of London will be able to provide remote advice to the centre. Thembi believes that the increase in capacity may lead to earlier resolution of problems which will then lead to fewer client’s reaching crisis point. Thembi hopes in the future to develop this project further to enable vulnerable clients who may not be able to travel into the centre, to access advice from their homes using this technology: for example clients with mental and/or physical health conditions who find it difficult to use public transport or even leave their homes. Thembi is highly aware of the social exclusion that clients may experience and is keen to help develop a robust triage system that means the service is used only where appropriate, as its main goal is to free-up the face to face appointments for those who are most in need.